This Game Of Thrones post is written from the point of view of someone who has not read the books the series is based on. As such, spoilers are strictly forbidden. Any spoilers in comments will be deleted on sight. If you see spoilers, please mark them as best you can and email eadams at avclub dot com or contact Erik on Twitter, and he’ll take care of them as soon as possible. Remember: Discussions of things that were different in the books or confirmations of things that won’t happen count as spoilers, too. Have you read the books and want to discuss what’s coming? That’s what our experts reviews are for. Generally, I’m reluctant to assign too much significance to an episode title. 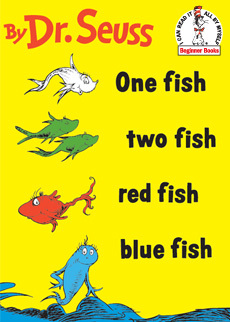 Often, a title is merely lines on a page, words distinguishing one installment of a TV show from the next. But when that show has as many characters, storylines, and settings as Game Of Thrones, an episode’s title provides a helpful roadmap—not unlike the lay of the land(s) that introduces each new installment. Four weeks into season five, the episode titles fall together to form a picture of the unknown world that awaits us this year, newly introduced locations and characters representing a Westeros between wars. Insurrection is at the heart of Game Of Thrones, but the Faith Militant and The Sons of the Harpy are different kinds of insurrections. They have no connection to the crown, like the campaigns of Daenerys Targaryen, Stannis Baratheon, Robb Stark, or Renly Baratheon—and they don’t appear to be reaching for it, either. And unlike the bloody struggle to remove the Lannisters from the Red Keep, there’s no talk here of moving forward toward a freer, more just Westeros. The sparrows and The Sons of the Harpy want to reverse the clock, to restore societies in which sinners were brutally tortured and humans were bought and sold like chattel. In this way, they’re Game Of Thrones’ first reactionary revolutions. It’s only logical that Cersei would back a movement like the sparrows’. It’s not out of religious faith: It’s out of a selfish need to preserve and restore. As the Lannister line has dwindled, she’s taken drastic measures and made dangerous allies in order to keep whatever power the family has left. Meeting with the High Sparrow, she nearly divulges conduct unbecoming of the sparrows’ rigid ideology. But ideological allies aren’t what Cerssei needs at this point—violent maniacs who’ll arrest Ser Loras are. 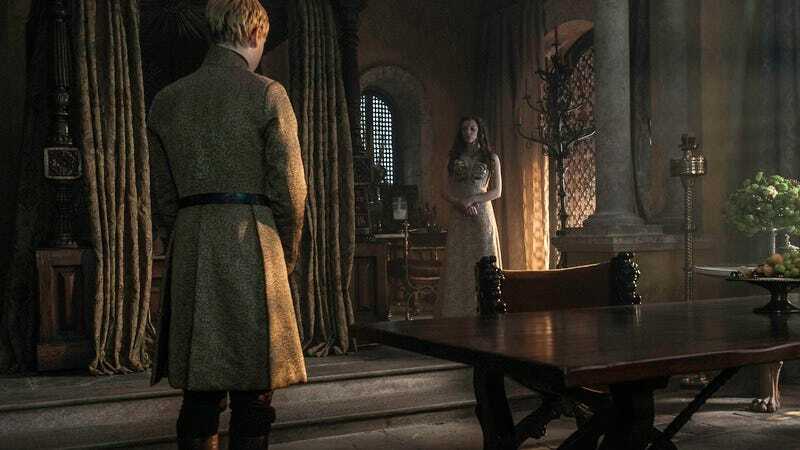 By sidling up to the fanatics and reinstating the Faith Militant, she might think she’s simultaneously quelling a rebellion, but the wall of black robes that separate King Tommen from the High Sparrow would argue otherwise. She might not know it—because she might not know they exist—but Cersei’s own politics are more in line to those of The Sons of the Harpy. An elite that’s upset about no longer being elite (though they still have plenty of advantages over their former slaves), their rebellion is the type of petulant lashing out the queen mother has outsourced to bloodthirsty zealots. 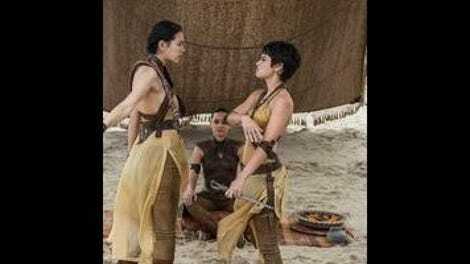 To compensate for a weaker motivation (“What do you mean we can’t have slaves?”—The Sons of the Harpy, abridged), they get the better action sequence: Hand-to-hand, street-level combat that has actual stakes because it involves characters whose names we know, like Grey Worm and Ser Barristan. These are emotionally wrenching apples being compared to startling-montage-of-Faith-Militant oranges, but removing Grey Worm’s helmet in that final battle is a move of instantaneous investment. In one expertly choreographed blow, the anonymity of the chaos evaporates. The Sons’ motivations appear petty and unjust because they are petty and unjust, but they appear moreso because of the emphasis “Sons Of The Harpy” places on systems of belief and the many definitions of the word “faith.” A world-building component of other episodes, religion and religious practices factor heavily into this week’s proceedings: There’s the Faith Militant, but there’s also Sansa’s observances at Lyanna’s tomb and Melisandre shining the light of her lord on Jon Snow. Religious beliefs provide comfort and reassurance in desperate times, and the times they are a-desperate in “Sons Of The Harpy.” Sansa, promised to another lunatic and living in a home she doesn’t recognize, keeps a flame burning for family members who’ve moved on to the next life. The High Sparrow represents hope for the poor and hungry of King’s Landing—though they may be placing their faith in a figure whose piety is too pious. This is the other type of faith “Sons Of The Harpy” deals with, the type Sansa reluctantly places in Littlefinger when he promises that Winterfell will soon be hers. On Game Of Thrones, you can believe in more than gods: You can also believe in people, as Jaime and Bronn do when they charter passage to Dorne. In this case, they choose poorly, because people are less trustworthy than the invisible hands that keep the world spinning. It takes a lifetime to learn if the seven (or the old gods or the Drowned God or the Red God or the Blue God or One God or the Two God) have forsaken you. A person can forsake you overnight. If there’s any coming back from having a person turn their back on you, we’ll soon find out when Jorah Mormont arrives in Meereen with Tyrion Lannister in tow. Ol’ Jorah’s a sight for sore eyes, agreeably crusty and highly confident about the catch he landed in Volantis. Like the introduction of the Sand Snakes, Jorah and Tyrion’s scenes are just a tease of what’s to come, but there’s still good fun to be had in Tyrion’s feelings of captivity leading to an actual incarceration. Just deserts for the most pampered fugitive in the known world: He got out of that wheelhouse, all right—and straight into a stolen boat. It’s quicker passage to Dany’s realm than he was likely to find in Volantis, at least. But what will they find when they dock in Meereen? The skirmish between the Sons and Daenerys’ troops will have dire consequences, especially if Grey Worm and Ser Barristan have suffered mortal wounds. Of “Sons Of The Harpy”’s big fights, this is the most comprehensible—Jaime, Bronn, and director Mark Mylod all have difficulty navigating the hilly Dornish landscape—though you can’t count a Game Of Thrones character out unless their head has rolled or someone else says they’re dead. (That said: After the preview for next week’s episode, maybe I’m being overly optimistic here.) But even grave injury could lead to the Khaleesi declaring an all-out offensive on The Sons of the Harpy, so Jorah and Tyrion may be cruising right into a warzone. King’s Landing looks similarly on edge—another parallel season five draws between the capital and the capital of Daenerys’ new world. (The show sure loves its parallels, and it got a doozy of one in Jorah’s “I’m taking you to the queen” last week. We all should’ve known there’s only one queen he recognizes.) But “Sons Of The Harpy” aims to distinguish between its brewing revolts, even if we find their actions equally revolting. At least the Faith Militant is serving a power greater than itself—even in its bastardized, sanctimonious way. It commits heinous acts in the names of gods, while The Sons of the Harpy act out of their desire to be treated like gods. The thing about men is that they tend to die; the fallen Sons that we gaze upon at the end of “Sons Of The Harpy” can only rise in number in the coming weeks. “Sons Of The Harpy” is the last of the episodes HBO distributed to critics prior to season five. I haven’t heard if the network will send screeners for the remainder of the season, so reviews of episodes five through 10 may post late Sunday evenings/early Monday mornings. Mace Tyrell is being escorted to Braavos by Ser Meryn, so it’s quite possible we’ve seen the last of Roger Ashton-Griffiths and Westeros’ most whimsical Van Dyke. So much of Margaery’s story is happening adjacent to other characters this year, making it hard to work her into the main sections of these reviews. But even in her limited screentime this week, the queen makes an impression, rightfully and angrily panicked at her brother’s arrest. She’s realizing that she’s thrown her royal lot in with a child—one who can’t talk back to his mother—and it’s both heartbreaking and thrilling to see her backed into a corner. Heartbreaking because she’s one of the most enjoyable personalities on the show, both in spite of and because of her conniving; thrilling because that conniving spirit all but guarantees some fireworks as she pushes back against her mother-in-law.